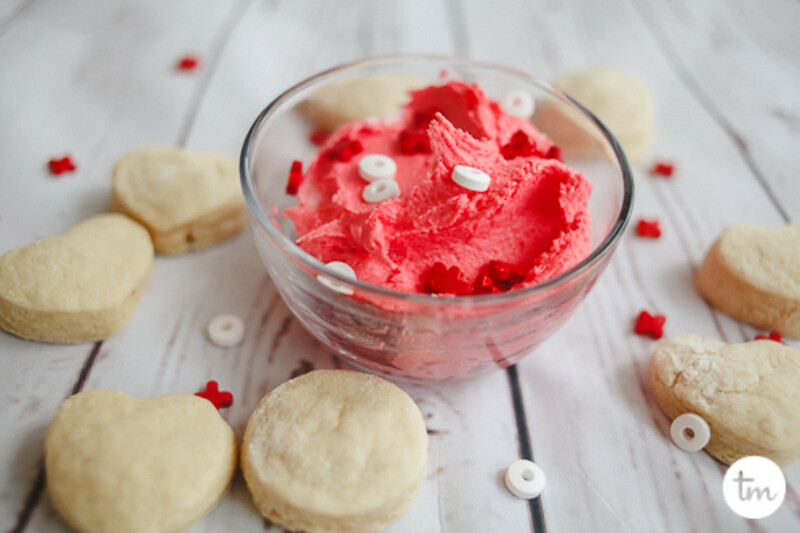 These adorable Valentine’s sugar cookies are proving once and for all that we can have pretty and buttercream-all at the same time. I&apos;m on a mission to bring back buttercream. 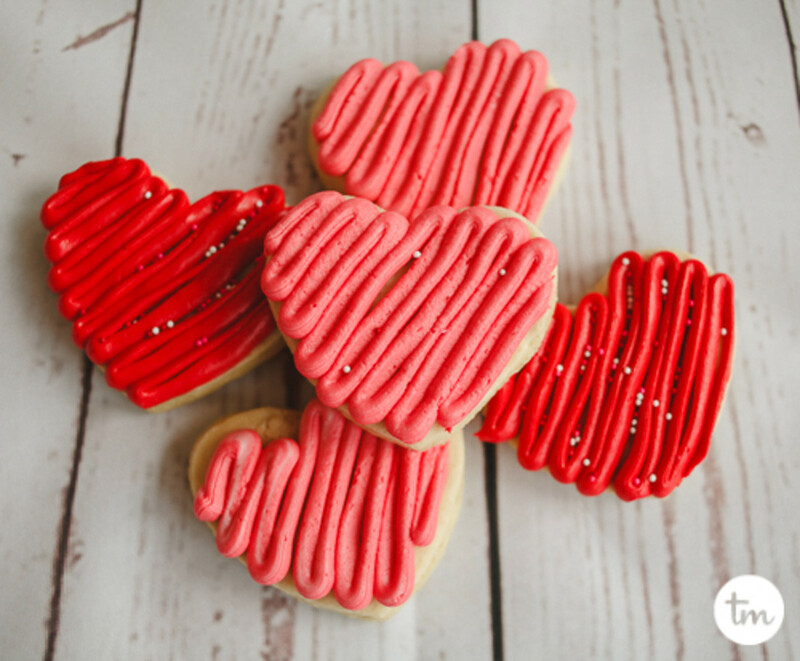 A quick Pinterest search for sugar cookies will reveal that royal icing is currently stealing the show, but I&apos;m on a mission to change that! I&apos;m not a fan of the work that goes into royal icing and buttercream will always taste better. "But April," you&apos;ll say "Royal icing is so pretty!" I&apos;m proving once and for all that we can have pretty and buttercream-all at the same time. 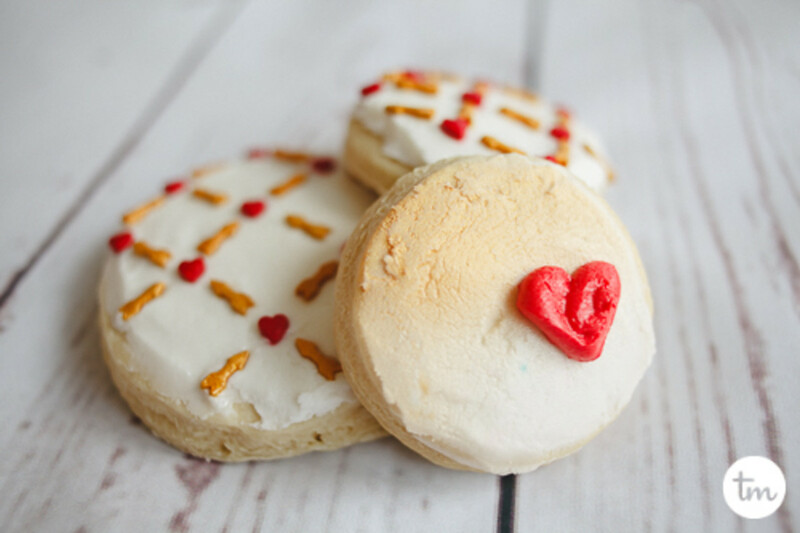 I whipped up a batch of my favorite sugar cookies (recipe here) and had some fun playing with buttercream for valentine&apos;s sugar cookies. If you want to go quick and easy, this is it! 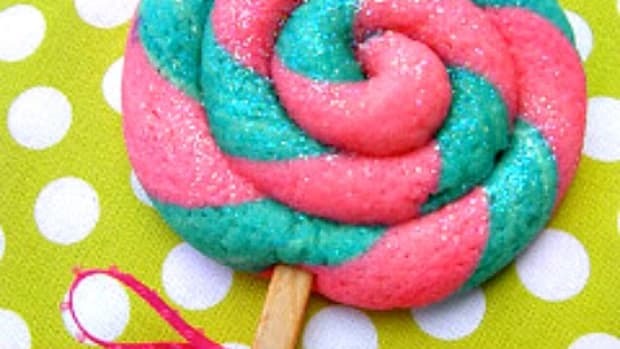 Simply whip up some frosting, put it in a ziploc bag and snip off the tip. 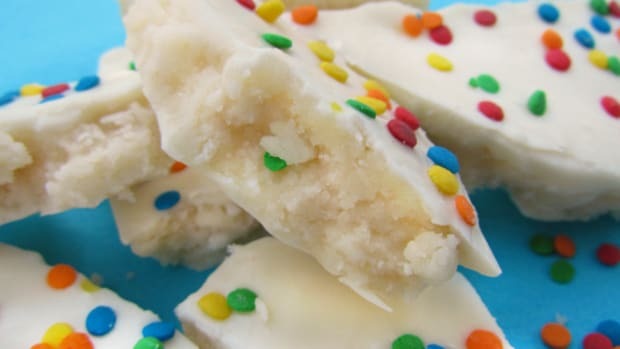 Zigzag across the top and add sprinkles if you&apos;re feeling fancy! 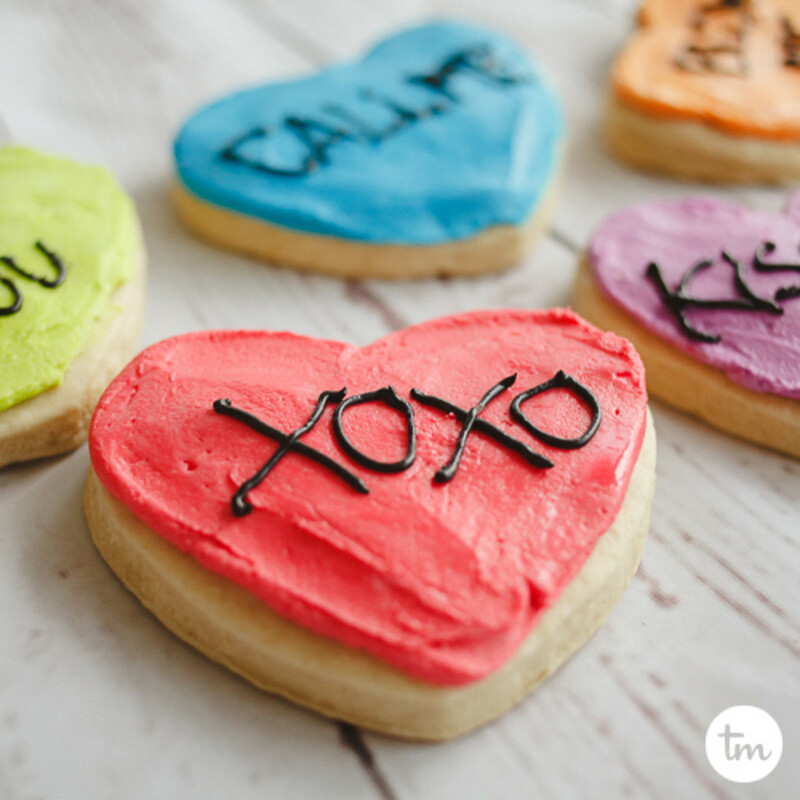 We made these a few years back for our neighbors and they were a huge hit! 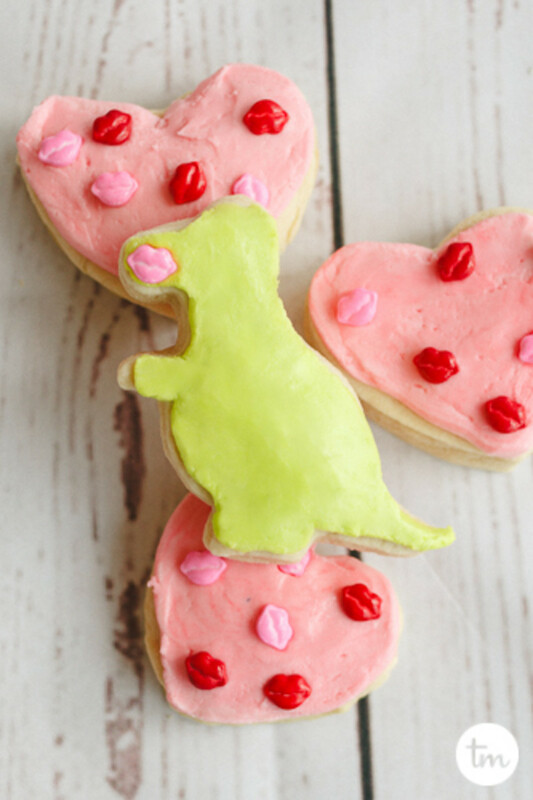 Everyone loves a dino with lips-especially if it&apos;s a cookie! 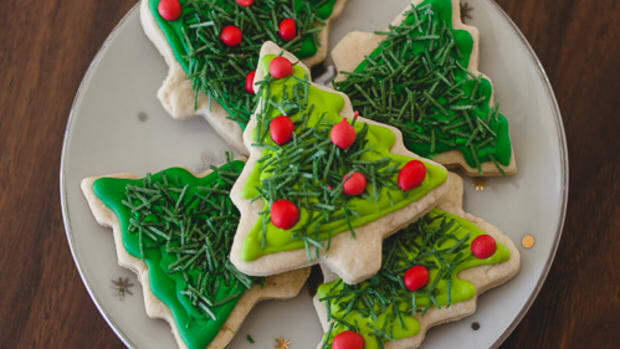 This is the greatest thing you can do with leftover dough or pieces of dough that are too small for the bigger cookie cutters as you make your other cookies. 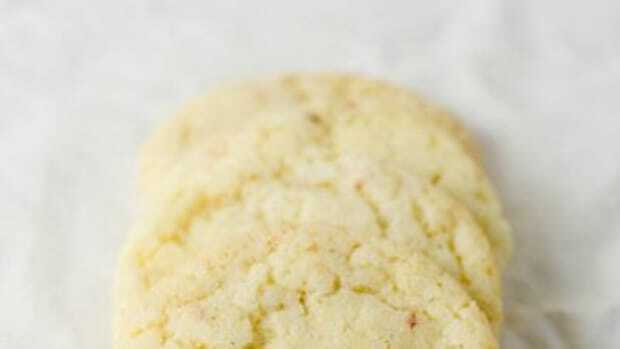 I keep mini-cutters on hand just for this-little mini cookies that are perfect for dunking in frosting. My kids love this too! I have got to work on my lettering. 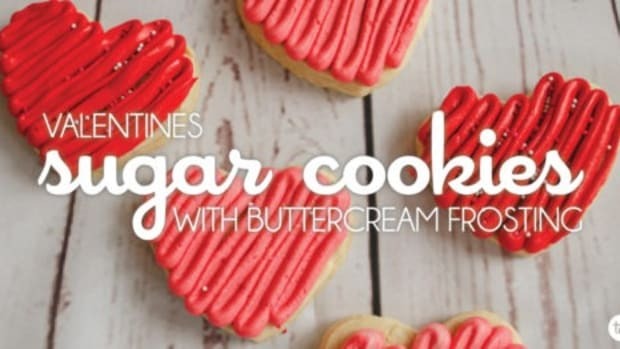 Two secrets go along with these cookies. The first is to pipe around the edges and then fill the middle with frosting-that gives the edge a nice smooth look. The second is to use black cocoa in your frosting instead of food coloring to make it black. This prevents black teeth and makes the frosting chocolate flavor! So yummy. If you have some time on your hands and you&apos;re wanting to get a little intricate-patterns with sprinkles are the way to go! This was still so easy to do and with all of the fun sprinkles, the options are endless! Are you a buttercream or a royal icing fan? Comment below! I’m on a mission to bring back buttercream. 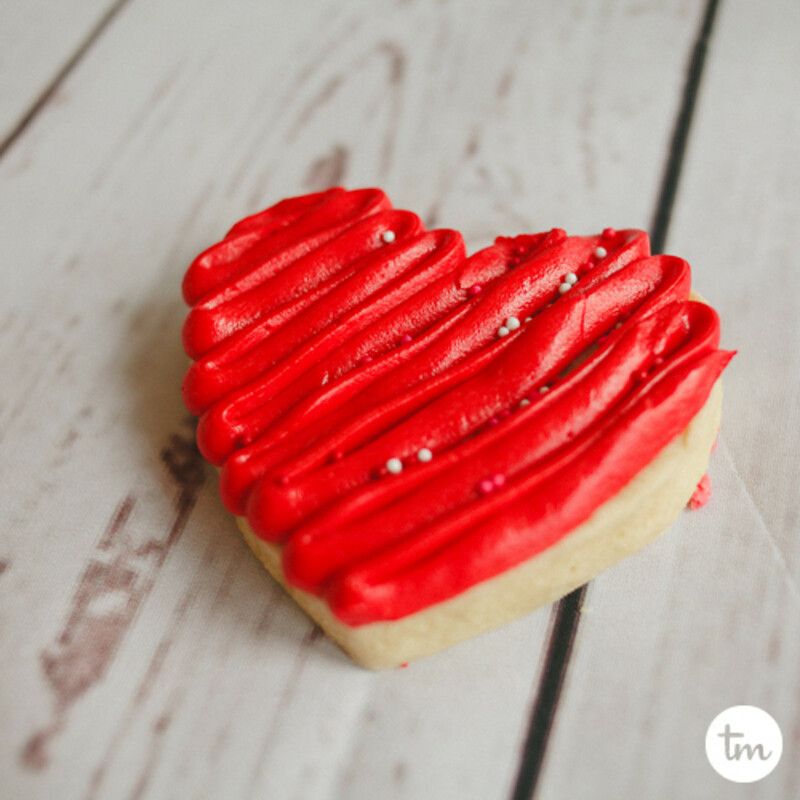 The power of the sugar cookie. I can't stop eating them. 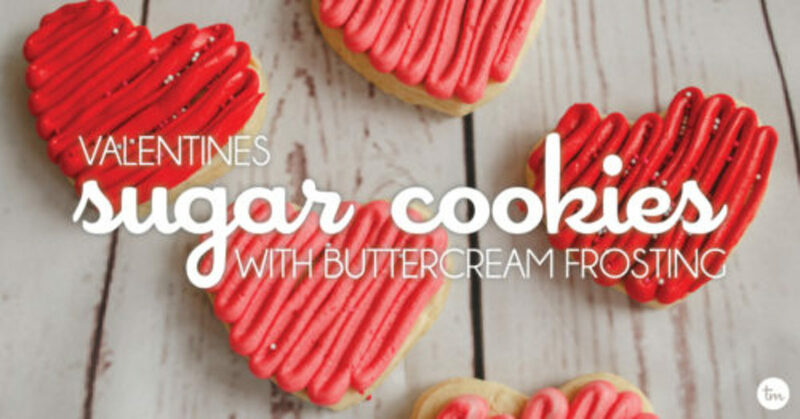 Don't have time for a batch of sugar cookies? 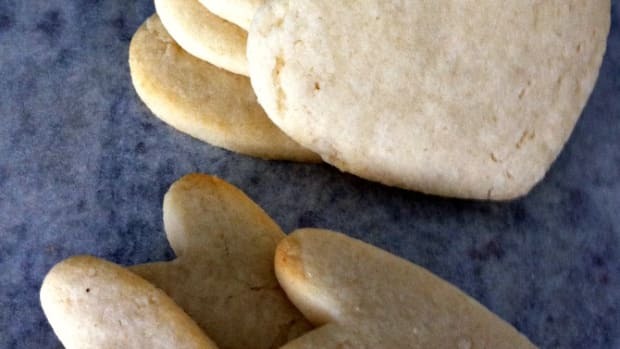 Skip a step with this Basic Sugar Cookie Recipe. You'll be ready to frost in a jiffy! 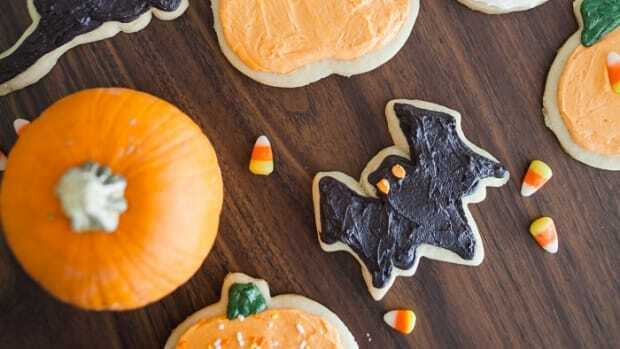 These Halloween Sugar Cookies are sweet, not spooky. 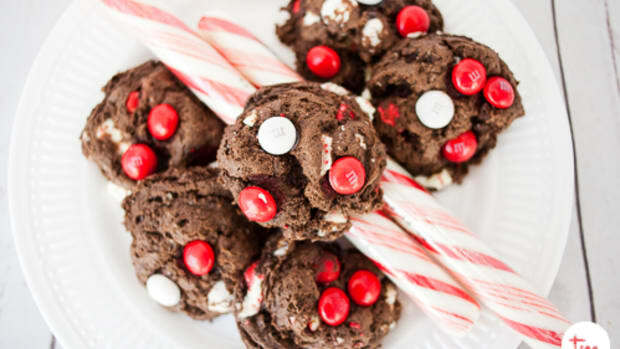 These easy chocolate peppermint cake mix cookies are quick to make and sure to be a hit at your next holiday party!